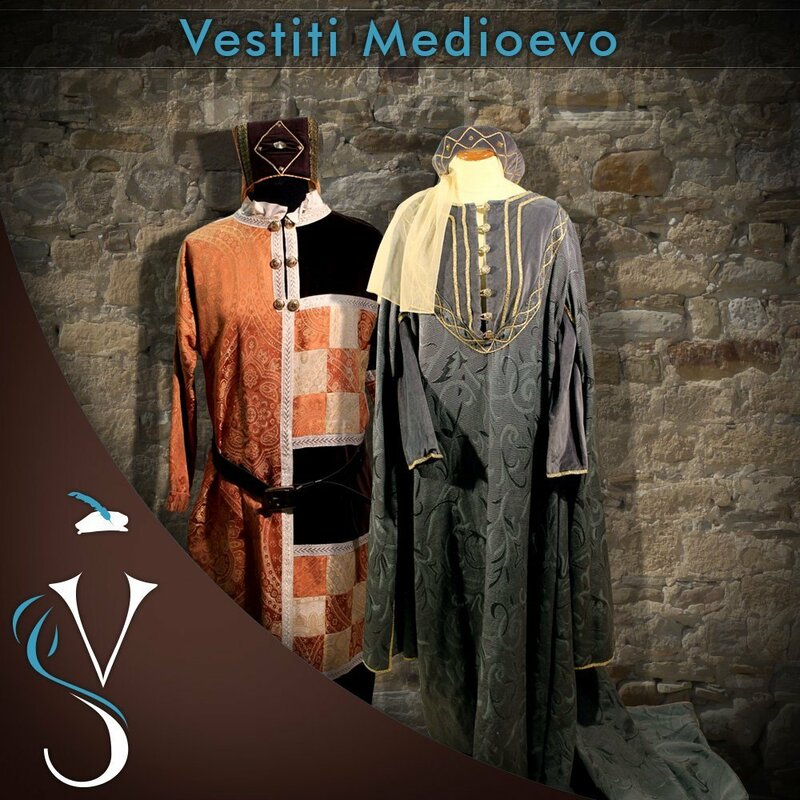 Our catalogue of Medieval costumes includes a wide choice of models. Elegant dresses embroidered and adorned with artificial stones. You can also choose among a variety of hats and headcloths to go with your costumes. The renaissance of style! 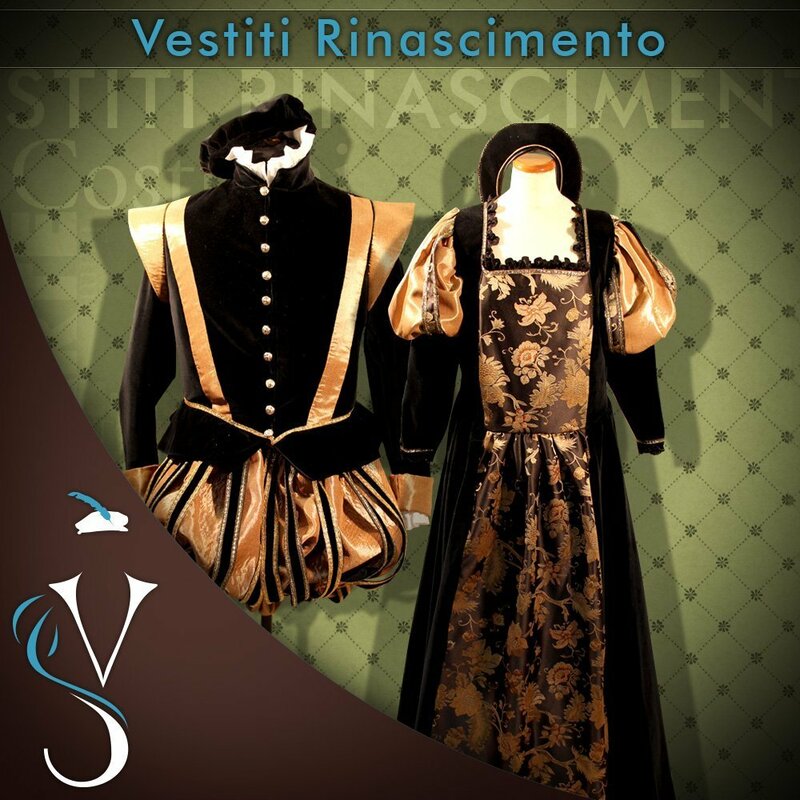 Care and attention to every single detail: features of our dresses in the Renaissance section of our catalogue. Our Nineteenth-century dresses are elegant, charming and romantic. 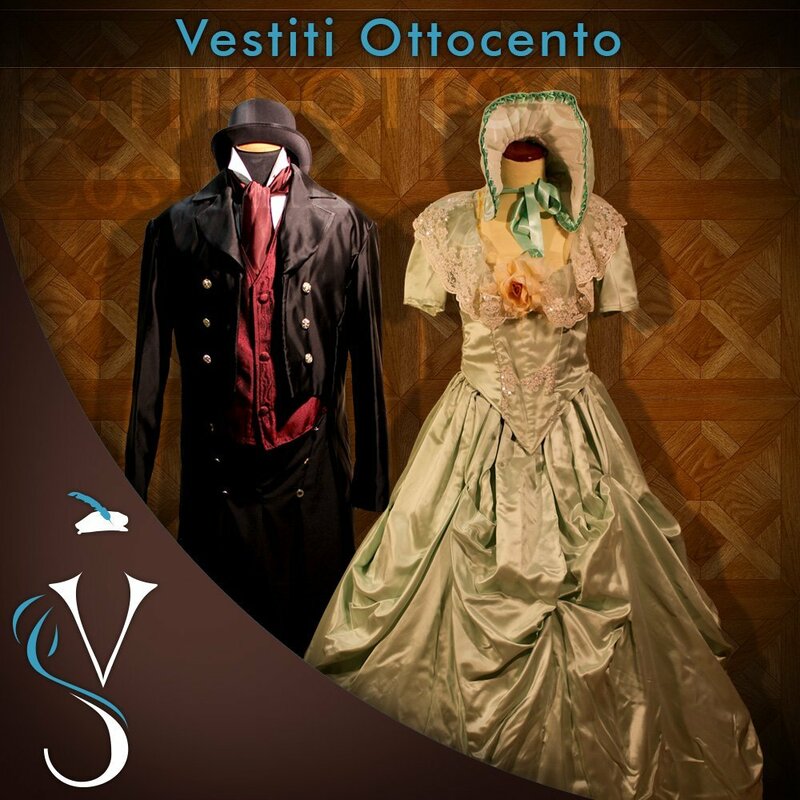 A couple,our costumes, the right atmosphere and your fairy tale is there to be lived. Ladies and gentlemen, you are welcome! 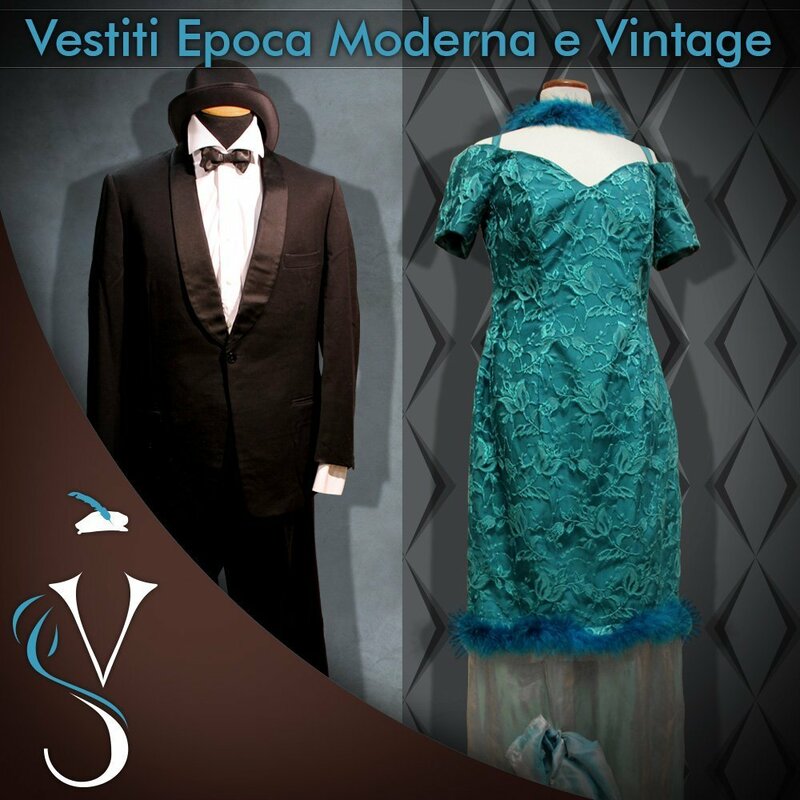 Our modern times dresses will take you to fabulous gala nights and themed parties.The splendours of the twentieth century, its genious and elegance. Do not miss your chance to wear the fantasy of last century: a blast from the past and the magic of gaiters and ostrich feathers.